In Loving Lampposts, documentary filmmaker, Todd Drezner, goes beyond his own personal journey with autism. In 83 minutes, Drezner manages to explore the neurodiverse autism community, the “recovery movement,” and various treatments and methodologies while posing a series of thought provoking questions/statements throughout. 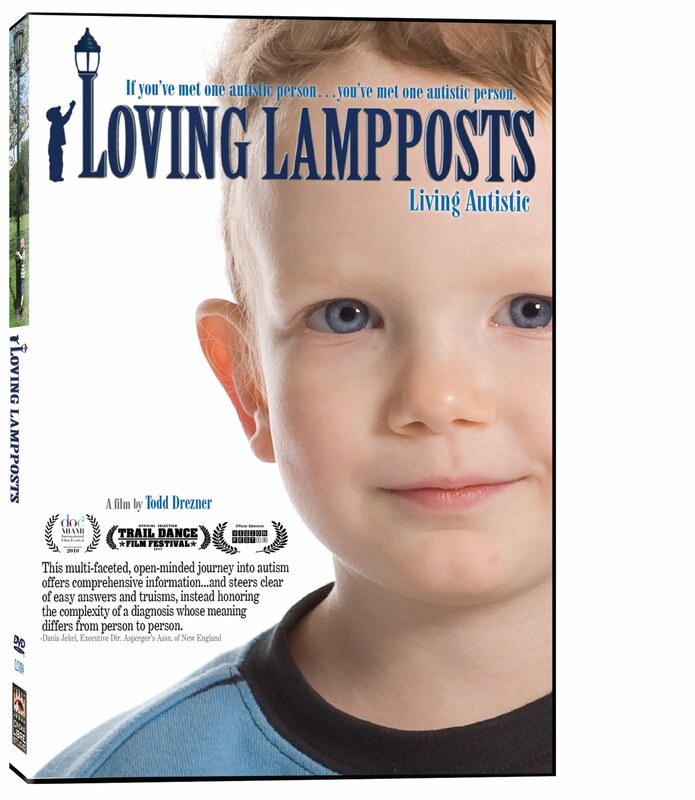 Loving Lampposts features over 30 parents, adults with varying levels of autism, doctors and other experts in the field. Unlike other documentaries, Loving Lampposts provides a broad and honest view of a complex disability. One featured mother, Kristina Chew, said, “Recovery isn’t the point anymore.” All Chew wants for her son, Charlie, is to help him. Parents of special needs children often feel guilty. It’s natural to want to try every possible treatment, and to feel guilty if you don’t. Hearing Chew’s (along with the other parents featured) journey towards acceptance may enable parents to move forward. Society and media have conditioned parents to fear autism. Mainstream media rarely features adults living with autism (many still associate autism with Rain Man). Loving Lampposts features adults on the spectrum living full lives. It's begun a much-needed dialogue around individuals with autism. It portrays autism with respect, dignity and understanding. Autism is a different way of being and Drezner believes that while some behaviors are challenging, they are nothing to fear. Loving Lampposts allows parents to embrace and accept autism from the beginning of diagnosis. One of the most compelling aspects the documentary presents, is the distinction between “high” and “low” functioning autism. By challenging these labels, Loving Lampposts, changes the overall perception of a person with autism. As Stephen Shore states, “The potential of those with autism is similar to anyone else's – it’s unlimited.” Diagnosed with autism in 1964, Shore was originally recommended for institutionalization. He is currently a professor at Adelphi University. The overall theme of the film is not to “cure” individuals with autism or help them fit in, but rather help them find their own place within society. Loving Lampposts is a breakthrough documentary, poignant, informative and a possibly controversial film. It’s a must watch for every parent. Especially for parents, hearing the words “your child has autism” for the very first time. Ultimately, Loving Lampposts is a documentary for everyone. For parents and caregivers of children with autism – it will provide hope. If you’re a teacher, it’s an amazing learning tool and should be shown in every classroom. And for everyone else, it will provide insight. Loving Lampposts is about acceptance, and how we can provide the “best possible life” for individuals with autism. For more information please visit Loving Lampposts Movie. 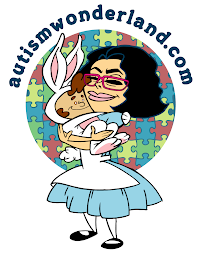 AW: In the Director's Statement you stated that you didn't react to the diagnosis, "like many autism families that are depicted in the media." What was your initial reaction? TD: Much of what we saw in the media was focused on children who had regressed and lost skills. There was a sense among many parents in these stories that they had somehow "lost" their child. We did not feel that way with Sam. Luckily, he did not regress; he was very much the same kid the day before the diagnosis as he was the day after it. Certainly, we were very concerned about how to support him and about what his future might hold. But we felt that he was the same kid as he had been all along, and that was a great relief. AW: "Loving Lampposts" has received a lot of praise - what has been the most rewarding aspect of making the documentary? TD: During the actual filming, the most rewarding part was to meet the many great people who appear in the film. I would not have gotten to know Lila Howard, the almost 90 year old mother of an autistic son diagnosed in the 1950s, if I hadn't made the film. Hearing about the challenges she overcame to give her son a fulfilling life should make all of us dealing with autism today feel very lucky. I also met fabulous autistic adults who are doing great things in the world both in spite of and because of their autism. And many of the parents of autistic children I met are truly inspiring in their acceptance and support of their children. Since the film was released, I've most enjoyed some of the individual reactions. A medical student from Michigan State wrote to tell me that the film would help him if he ever has to treat a patient who has autism (for a medical issue not relating to autism). A mother came up to me after a screening to tell me she was going to change the way she interacted with her autistic son. Many people have written to me to tell me that the film gets autism right. I always hoped the film could make a small difference in the world of autism, and it's great to see that it has. AW: What advice would you give to new families receiving a diagnosis? TD: I think it's good to take a deep breath and realize you're at the start of a long journey. Every child -- autistic or not -- grows and develops. We don't expect a typical child to be the same at age 18 as he is at age 3, but with autistic children, we sometimes worry that they will always have the same issues and challenges. I think it's wise to connect with some autistic adults so that you can begin to imagine how your own child might develop. Autistic adults have dealt with most of the issues you will be dealing with, and they can be a great resource. Try to remember that you will be providing your child lots of support, and he or she will develop and make progress. AW: Has having a child on the spectrum changed you? If so, how? TD: I don't think I expected to be as much of a public advocate for my child as I am, and it's not something I would have necessarily chosen. Ultimately, though, I feel that if my wife and I are not advocating for Sam and asking the world to recognize his strengths, no one else will. Autism is much more common than ever, but still relatively rare overall. For that reason, raising an autistic child is something of a public act. I think people look to parents of autistic children for cues about how they should treat autistic people, and I think we have an obligation to model acceptance and support even if what we're accepting and supporting is sometimes unusual behavior. So my wife and I have taken on that role, especially because I've made the film, and I think we're happy to do so even though we hadn't planned on it. 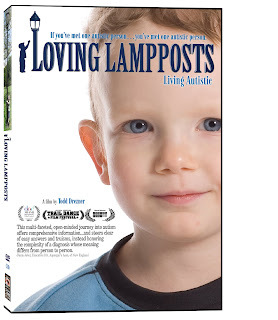 note: A complimentary copy of "Loving Lampposts" was provided to me by Cinema Libre Studio. The thoughts are my own and have not been influenced in any way. Wordless Wednesday: How Can You Help? "You don't raise heroes, you raise sons." Managing Screen Time. Easier Said Than Done. Few Words Wednesday: Let the Memories Begin! Wordless Wednesday: Greetings from Disney!